Another in the line of Kelsey Excelsior presses. 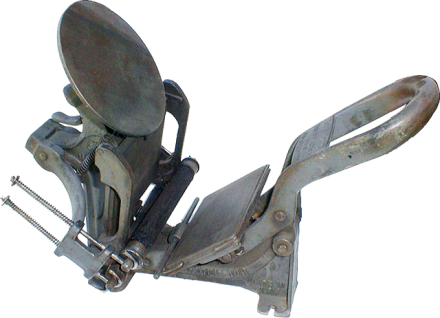 William A. Kelsey began making inexpensive presses for amateurs in 1872, and his Excelsior became the longest-lasting press on the market. For more information, see the Excelsior Model P page. This Model C has a patent date of 1928.